In most of the Engineering Applications, one fluid needs to be heated & another cooled, a requirement economically accomplished by a Heat Exchanger. A Shell & Tube Heat Exchanger is built for efficient heat transfer from one fluid to another, whether the fluids are separated by a solid wall so that they never mix, or the fluids are directly contacted. 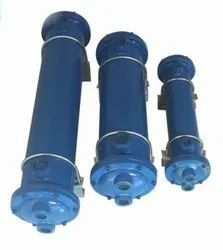 These Heat Exchangers are widely used in petroleum refineries, chemical plants also it is used extensively in fossil-fuel and nuclear power plants, gas turbines, heating and air conditioning, refrigeration, and the chemical industry, textile mills evaporation and drying system. Heat exchangers are used extensively in fossil-fuel and nuclear power plants, gas turbines, heating and air conditioning, refrigeration, and the chemical industry, textile mills evaporation and drying system. The main features ofShell & Tube HeatExchangers include Sturdy construction, High performance, Long performing life, Specifically designed, Smooth functioning, Can bear high temperature, Non-corrosive, Energy efficient. 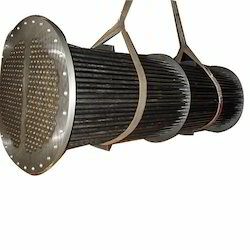 Our exchangers are widely used in Power Plants, Oil Refineries, Manufacturing Industries, Oil coolers for Lubrication Oil, Offshore Industry Water Makers, Chemical plants, Heating and air conditioning, Condensers, Nuclear Power Plants, Textile mills evaporation and drying system, Food and Dairy Industries and Refrigeration systems. 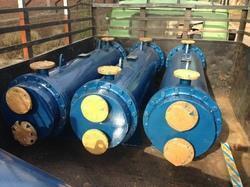 Water Cooled Heat Exchanger Models ST150, ST200 and ST250 Series. Widely used in Power Generation Industry, Hydraulic Process Industry, Food Processing Industry, Pharmaceutical Industry, Mining & Construction Industry and various other sectors of Industial Process Engineering. Our organization is counted among the most distinguished manufacturers and suppliers of a broad array of Tube Heat Exchangers. 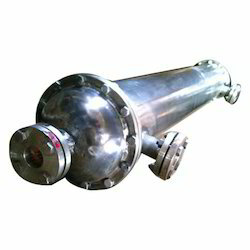 These Tube Heat Exchanger are manufactured using high grade raw material in compliance with the industry standards. 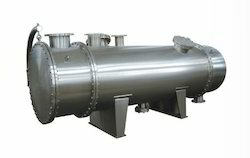 The offered Tube Heat Exchanger are widely used in pneumatic industries such as gas power plants, oil refinery & petrochemical plants for condensation of vapors. We are instrumental in offering a quality range of Heat Exchangers for Power Pack. These Heat Exchanger For Power Pack products are manufactured in adherence with the industry standards and norms. All these Heat Exchanger For Power Pack are quality tested on varied parameters, before the final delivery. Moreover, our products are widely used to refine oil and also for transferring heat from one medium to another. 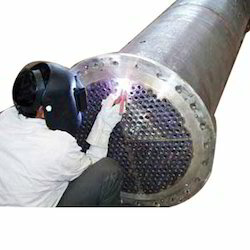 Making use of latest technologies, our organization is involved in manufacturing a wide array of Shell & Tube Condensers. These Shell And Tube Condenser products are designed by the professionals at par with the international quality standards. The offered products are manufactured using premium quality material, components and spares to ensure durability. Our Shell And Tube Condenser products are widely used by varied industries to condense the vapor into liquid. Our organization is counted amongst the most distinguished firms that are offering Stainless Steel Heat Exchangers. These are manufactured employing latest machines and tools, our products are widely used to reduce heat from high temperature liquids. Our products find their applications in food industry for cooling or heating the food product and in chemical industry to avoid chances of contamination due to rusting or other chemical reactions. 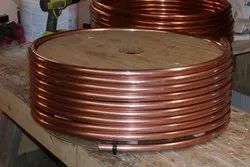 We have in our store a remarkable gamut of Coaxial Coils Heat Exchangers. The products we are offering are developed under the supervision of experienced quality analyzers as per international quality standards. Our products are designed to ensure efficient heat transfer from one medium to another. 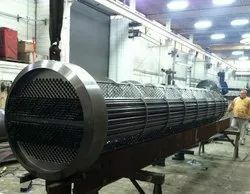 Shell and Tube Heat Exchanger for 1000 KVA DG Gen Set with Copper Tubes for Water Cooling.